Leading Christian disability charity Through the Roof is looking for disabled people and parents of disabled children to participate in some research which will help to inform churches on how to become fully inclusive communities, where disabled Christians can belong and play their full part in the life and leadership of the Body of Christ. The Lausanne Committee for World Evangelization has identified disabled people as one of the world’s most unreached people groups, with up to 95% never having the opportunity to hear the Gospel, and sadly the picture is not much better in the UK than anywhere else in the world. 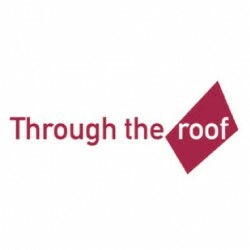 Now Through the Roof is conducting research into disabled people’s experience of church. Training Resources Developer Ros Bayes explains, “I want to hear the views of as many disabled people as possible, and from these I will compile a list of the most prominent issues which disabled people are raising about their experience of church. These will go into a booklet for churches, with an index showing resources that can be used to help churches address these issues. 1 What one thing do you wish churches knew? 2 What’s the most important thing your church could do for you/your child? 3 What things do you wish your church would allow you/your child to do for them? 4 What positive benefits does your/your child’s disability add to your/her/his relationship with God? Answers can be submitted by email to ros@throughtheroof.org, by post to Ros Bayes, Through the Roof, PO Box 353, Epsom, KT18 5WS or by telephoning 01372 737042. The questions can be supplied in large print or braille on request.